The new Nokian WR G4 SUV all-weather tire is a safe and reliable choice for sport utility vehicles and crossover models. Specially designed for North American roads, the Nokian WR G4 SUV effectively combines high-performance all-season handling and reliable winter grip. The strong and durable SUV structure combined with reinforced, puncture-resistant sidewalls ensure that the tire is stable and can withstand sudden impacts and cuts that may occur while driving. NASHVILLE, Tenn. – Nokian Tyres has expanded its modern all-weather product line by launching a new SUV tire for North American drivers designed to offer peace of mind in all conditions. The new Nokian WR G4 SUV is tailored for year-round SUV use and combines high-performance all-season handling and reliable winter grip to serve as a true all-weather tire. The unique next-generation technology from the world’s northernmost tire manufacturer provides enhanced performance on rainy, dry and wintry roads. Nokian Tyres, the inventor of the all-weather tire segment, equipped its newest SUV tire with improved wet and snow handling, lower rolling resistance and technology that creates a quieter ride. The Nokian WR G4 SUV’s sidewalls are reinforced with Aramid Sidewall technology that helps the tire withstand cuts caused by surprising situations. Aramid fiber, a material used in the defense and aerospace industries, makes the sidewall compound puncture-resistant and has become an integral feature throughout Nokian Tyres’ SUV & LT products. Earlier this year, the company introduced the Nokian WR G4 for passenger cars. 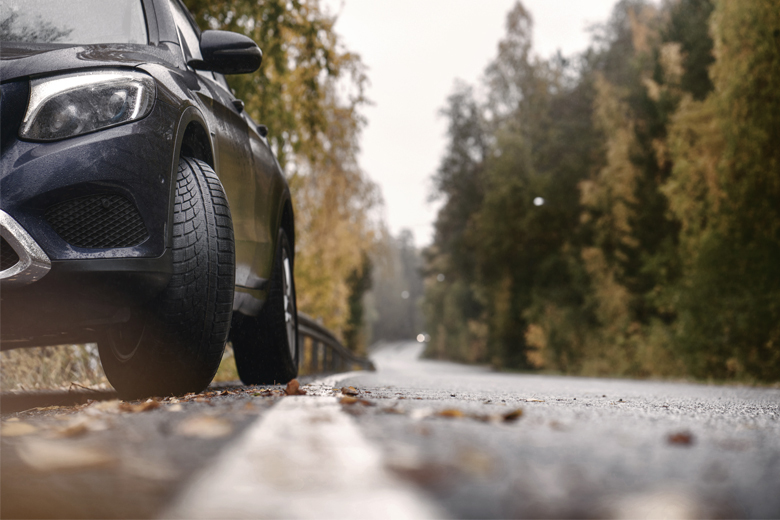 With the new SUV offering, the Nokian WR G4 all-weather product range covers 78 sizes from 14 to 20 inches with speed ratings from H up to V. The full size selection of this new premium SUV tire will be available to consumers in early 2019. The Nokian WR G4 SUV is designed to work safely and reliably year-round, from heavy winter storms and wet spring days to blistering summer heat. “The basis of Nokian Tyres’ product development is always safety. Our passion for keeping drivers safe in all conditions and our heritage of sustainable innovation were our focuses as we crafted the Nokian WR G4 SUV to achieve balanced all-weather performance,” says Olli Seppälä, Nokian Tyres R&D Operations. The secret behind the fine-tuned balance of the Nokian WR G4 SUV is rigorous testing performed around the globe. The exemplary wet and dry properties were refined on test tracks in Germany and Spain, with tread wear performance tests in the United States. Nokian Tyres tested the tire’s winter capabilities in demanding conditions at Nokian Tyres’ White Hell winter testing facility in Ivalo, Finland, 200 miles north of the Arctic Circle. The company improved this tire generation’s unique slush planing properties at its Nokia proving ground. The Nokian WR G4 SUV is the latest all-weather offering from Nokian Tyres aimed at ensuring peace of mind in all four seasons. To support eco-friendly driving, engineers have reduced the tire’s rolling resistance. Easy rolling saves fuel and preserves the environment, as rolling resistance affects the environment throughout the tire’s useful life. When roads turn into a snowy, slushy and icy mess, tires need to handle slippery roads and low temperatures. Designed to increase grip on snow and slush, the longitudinal rib at the center area of the tire is equipped with jagged sipes that resemble the footprints of a centipede. The Centipede Siping works effectively at the multitude of turning angles, maximizing contact surface and improving control. Winter grip is stronger than ever before thanks to the inner shoulder’s fan-like rib pattern. Functional tread blocks with Blade Grooves efficiently route rain, snow and slush away from the contact surface. The Nokian WR G4 SUV also features Snow Claws, which improve longitudinal grip especially on snow. In addition to snow grip, this precise design improves the driving feel required for cornering and lane changes. The Nokian WR G4 SUV meets specific traction performance qualifications and carries the Severe Service Emblem designation. This mountain snowflake symbol indicates the tire meets requirements for snow traction and ensures predictable grip in all North American winter conditions. Powerful SUVs demand a lot from tires. Tires must be strong and firm in order to keep tall, heavy vehicles stable even on rough roads. Nokian Tyres’ Aramid Sidewall technology is designed to bring added durability for challenging conditions and surprising events. The Nokian WR G4 SUV steers as precisely on wet highways or rural roads as it does in busy urban traffic. The exceptional combination of winter and summer performance comes with the new Dual Performance SUV Compound. With increased stiffness, more silica and a completely new SUV performance resin, this new-generation SUV compound provides a perfectly balanced combination of winter and summer properties. The new compound leads to strong wear resistance and provides the extra level of stiffness required by heavy and powerful SUVs. The higher silica levels found in the new compound guarantee world-class performance on rainy roads. To combat the ever-dangerous threat of hydroplaning, the Nokian WR G4 SUV comes equipped with Nokian Tyres Coanda Technology. When moving fluid, such as water, meets a curved surface, it will try to follow that surface. A phenomenon also known as the Coanda effect means water can be directed to follow the curve of the surface rather than flowing in a straight line. Nokian Tyres Coanda Technology is designed to accelerate the removal of water by guiding and moving the water flow away from the tire. The special zone on the tire sidewall is a unique combination of compounding and structural design and helps filter the noise and vibration from the road surface. Silent Sidewall Technology reduces noise levels improving driving comfort for drivers and passengers.